Change the color of your Robonova-I to red, blue or silver with this bracket set. 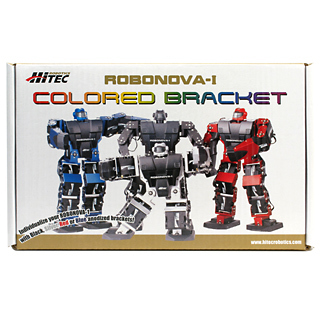 This bracket set contains 35 red or blue or silver bracket parts to individualize your Robonova-I. 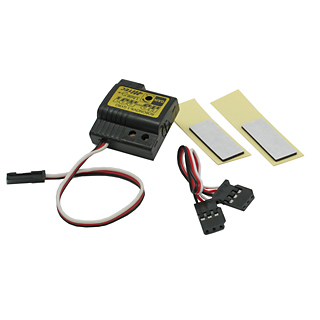 This digital servo motor creates the foundation driving component of the Robonova robot . It is well suited for a wide range of robotics applications. The motor is reconfigurable with different shell combinations with the included accessories. 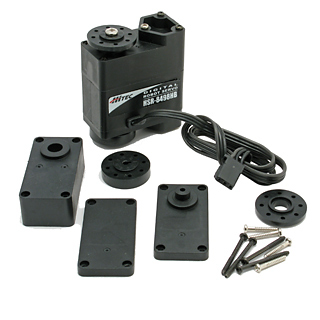 The servo motor comes with a selection of accessories that allow the motor to be custom configured for your application. Out of the box, the motor is configured with an idler shaft. The horn spline is 24 segments at 5.76 degree pitch. The internal drive train consists of Karbonite gears with dual ball bearings. Angular rotation is 180 degrees. Here is the specification. 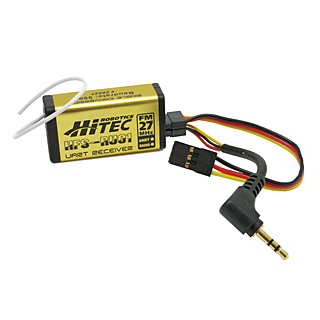 This is HiTec's HG-R01 Robot Gyro. Rapid, accurate detection and response system. 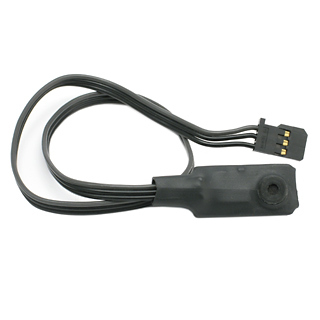 HiTec's IR Distance Sensor detects objects up to 15cm. The sensor output is logic high when an object falls within the detection range. When no object is inside the detection range, a logic low is output. This HiTec sensor detects sound. 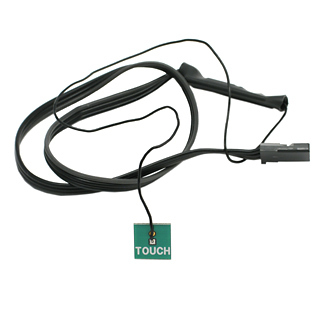 This HiTec sensor detects human touch. This HiTec sensor detects light. This is HiTec's MR-C3000 controller that is part of their Robonova line. This controller is capable of controlling 32 joints simultaneously. 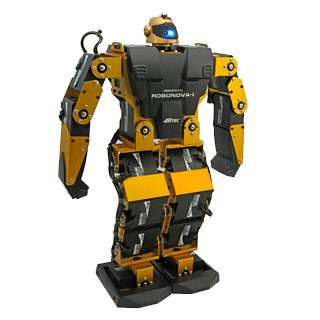 The MR-C3000 is perfect for use with biped robots, and other types of multi-jointed robots. 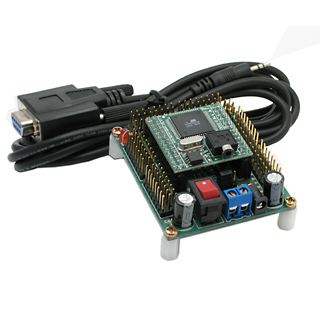 HiTec's 24 Servo Controller Board. 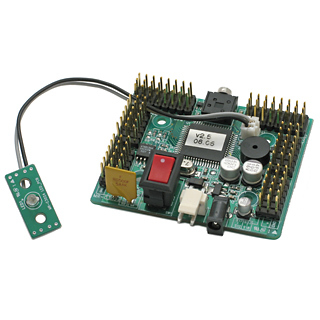 This is HiTec's HFS-RU01 Universal Asynchronous Reciver and Transmitter (UART). The HFS-RU01 is a wireless means to send serial commands to a Robonova or MR-C3024 using an 4-channel FM transmitter. Various movement combinations of the left and right sticks transmit Robonova codes through the single wire UART connector. 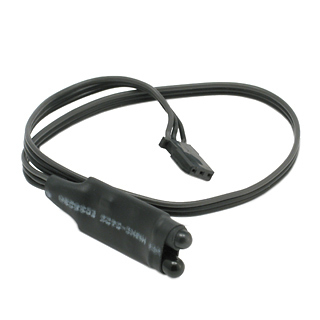 The HFS-RU01 is designed to plug into either the ETX port or alternatively the radio port. 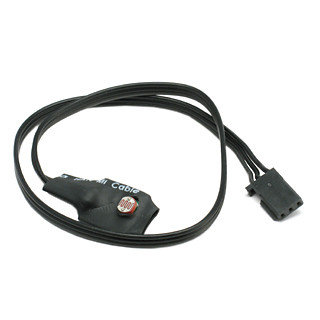 The FM transmitter must be turned on with the sticks centered before applying power to the HFS-RU01.